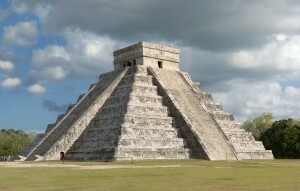 The phenomena of the pyramids in Mexico, Kulkucán, Chicken Itza and other places raises many questions about ancient civilisations. The Mystery School turned to the Aztec and Mayan Civilisation and the Mayan Calendar which is sometimes (incorrectly) called the Aztec calendar. 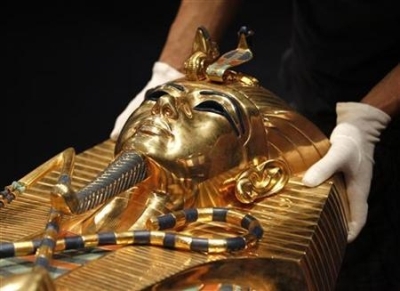 The question of sacrifices at the pyramids is also explored. We also learn of how memories of an event are left at the place of the event, and that a total record of the activities of all souls on Earth – and the Earth’s soul – are kept at the Sphinx in Egypt, and these records can be accessed. These records are popularly known as the Akashic Records. They have other names, also. More information about the 5th Dimension is shared. You can read more about the pyramids, the Mayans and Aztec’s, the Sphinx records and the 5th Dimension here. The Mystery School explores questions about the so-called “Blue People” and wonder if Lord Shiva is blue, and if he lives on Earth in the 5th Dimension. They learn that Lord Shiva is of the Angelic Realm. Questions are asked – and answered about “The Watchers” … their role, their presence here around the Earth. In this time of Ascension, there has been a delay to the cyclic 11-year magnetic reversal of the Sun. We learn that was delayed in order to avert destabilisation on Earth. 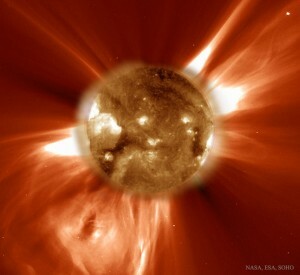 You can read more about the Sun’s Magnetic Reversal and other topics here. There have been many questions about the origin of the name Scandinavia, and how these peoples became white skinned. It is thought that Bharath (original name of those who lived in India) once extended to here, and the peoples here were the ancestors of those now living in India, a land called Bharath in their own words. Scandinavia comes from the name of the Indian God Skanda. 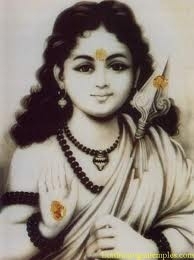 Skanda (who has many other names – Murugan, Karthik, Subramaniam – and is honoured and worshipped extensively in the south of India) was in fact an historical person, who walked the Earth and gave the teachings of the Source of All Creation. The Mystery School – brought together by the Cosmic Hierarchy to explore the origins of man on this planet – (and uncover much of the history of Planet Earth) has been exploring right from the emergence of form from Grand Central Sun of all Universes. Information is given by way of reveire, group discussion (prompted by telepathy and suggestions in the ether), work with The Oracle, and contribution from an occasional member. Concentration brings success to all activity, this is true. Moreover, in the future of human life in the 5th Dimension, working with and trust in higher faculties – as revealed in the last session – will be very important to human self-learning, as well as learning about the role of this planet in this galaxy, in this universe. It has been revealed in times past that many, many life-forms yearn to be born on this planet and live the warm-blooded life and experience the love of family. You can read more about The Mystery School’s explorations of The Dragon Race here. The January 2016 meeting of the Mystery School was planned to recover material lost from the earlier session. However, “upstairs” has a plan that more information needs to be uncovered for synthesis to come together about the journey from Egypt to ancient Australia (Lemuria) to be understood, and for this understanding to elicit further from the soul memories of those present. 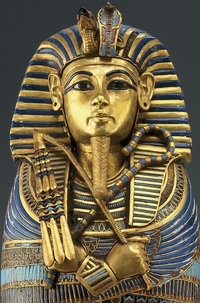 You can read Part 2 of Egypt and Australia: The King Tut Link here. 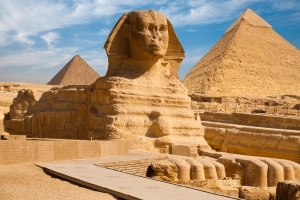 The Mystery School has joined together to explore the past – in particular, the Sphinx and Pyramids. There is much background material brought forward to integrate with the history and unfolding given by Jalarm, for the multiple dimensions we have learned of are all connected to this experience called Ascension. We reflect on the latest messages from the Spirit Being – one of the Hierarchy – known as Jalarm. 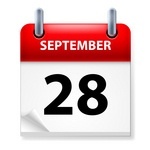 Much has been said world-wide about the coming of September 28, 2015 and Ascension, an influx of light, opening of portals, opening of star-gates and the raising of Mother Earth and all who seek the light in their transition. We examine some of this material and break it down into (hopefully) bite sized chunks. The Ladies of the Mystery School have convened; some are in Australia; another is in France. And the wonders of modern technology – the software called Skype – enables the Mystery School to continue to operate. Jalarm tells that is of a critical significance – for we imagine that we are in fact separated by time and space (this was in fact the case, it was morning in Australia and 1AM in France when the meeting took place). Jalarm teaches both the ladies of the Mystery School and YOU, the Reader, that time and space are but illusions of the mind and we are all connected, everywhere, everywhen. Jalarm goes on to teach a simple method of clearing – for when there is interference when we are doing any kind of soul work, we feel tired, disturbed, disjointed. And so YOU, the Reader, will read your message from Jalarm in this session. Valerie and her husband John have travelled to France on soul work – their work is not for themselves but for the welfare of humanity in these times of Ascension. 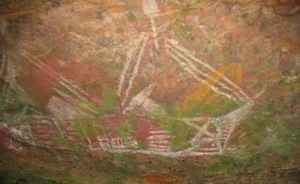 While the questions focus on the connections between the King Arthur legends and the narratives of the Knights Templar and their connections to the Aboriginal Peoples of Australia, there are deeper soul messages within the reading. In the work of the Mystery School we have learned of the pre-history of the human, and the history of how this Earth-planet came to be. Everything that is here has been brought from somewhere else. In the earlier days, the atmosphere was less dense, and the Earth was colder; it was moved into its present orbit, and the satellite called Moon was brought here to provide energies, balances and to preside over the mind. We have also learned in The Mystery School via Jalarm and The Oracle of how the Bird-beings were instrumental in bringing life here, how there were dragons on land in in water, how the manatees gave milk from their teats to the warm-blooded beings that were born from them. 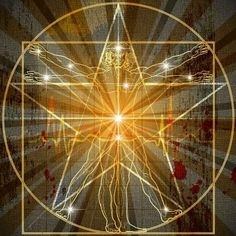 Today we learn about the Soul, that all beings born here – all life forms, Jalarm confirms – are enchristed within with the Soul, the Christ-light, the crystal light within. There are some forms of star-people coming and going that do not have this enchristed light within. We also learn about Moses in Egypt.